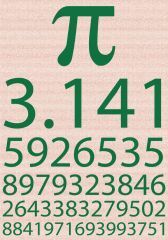 Today was National Pi Day. As in, 3.14. I'm sorry I missed it. I once made a pie with the pi symbol on it. That is all.